FIC Network, a blockchain technology provider for the fixed income market, has launched its mainnet and recorded the first privately placed corporate bond on its platform. This is one of the world’s first corporate bonds issued on the blockchain. This inaugural transaction is FIC’s first step toward simplifying, streamlining and rebuilding the infrastructure for the entire fixed income market. With its blockchain-powered web platform, FIC will enable the listing, settlement, and redemption of any type of fixed income instrument (including corporate bonds, asset-backed securities and hedging instruments). Designed as an institutional-grade platform, FIC Network will deliver significant cost savings through a completely digital, blockchain-based process, from issuance to redemption. 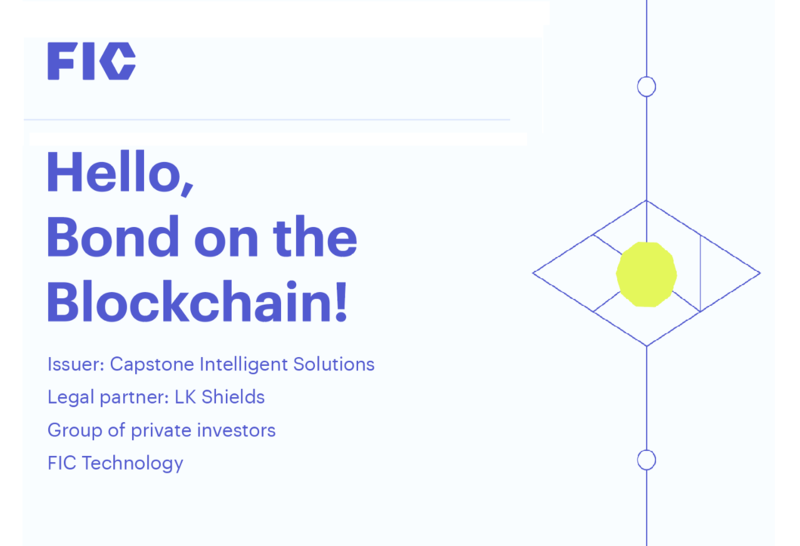 FIC Network provided the technology for Capstone Intelligent Solutions to issue its privately placed, one-year, US Dollar denominated bond to investors. LK Shields were delighted to act as legal advisor, with the team being led by David Williams and Neil O'Keeffe.